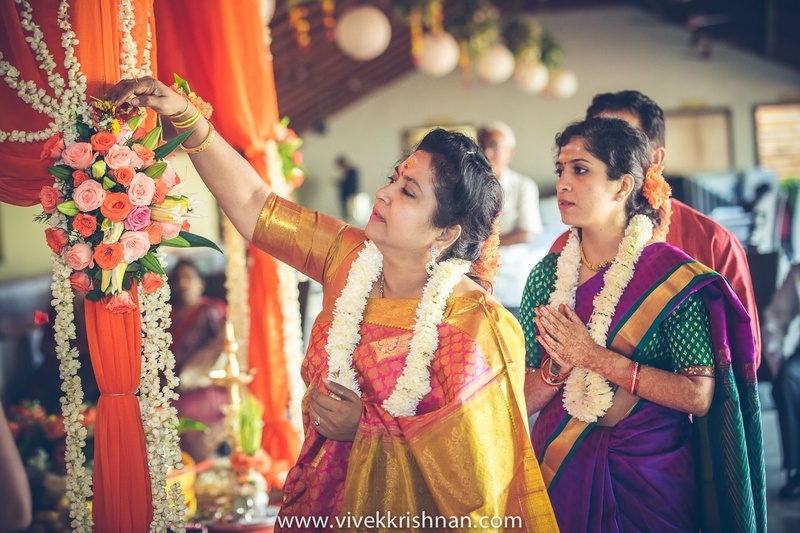 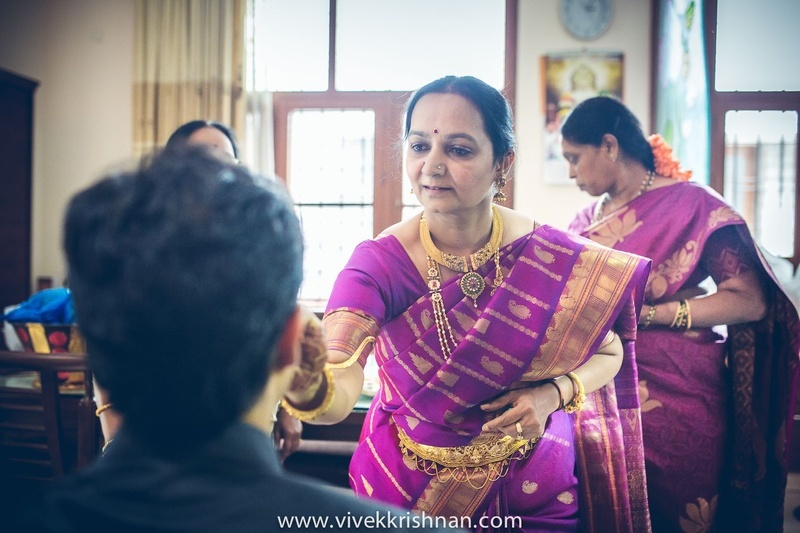 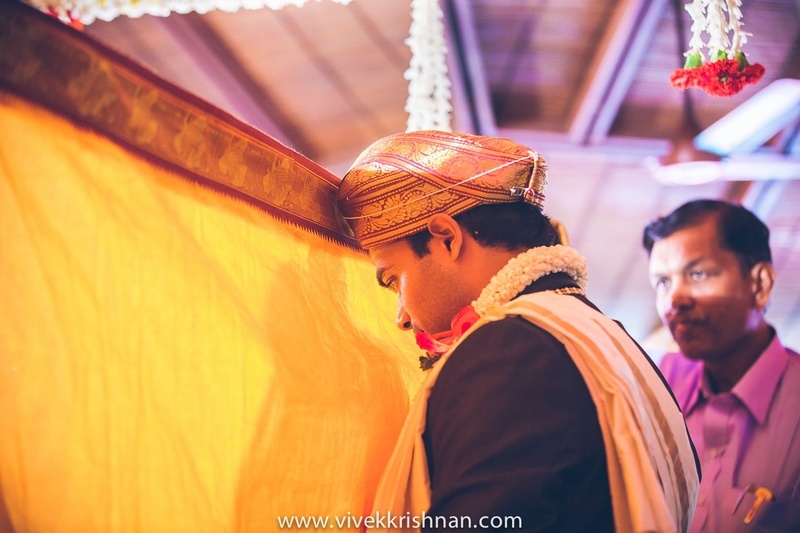 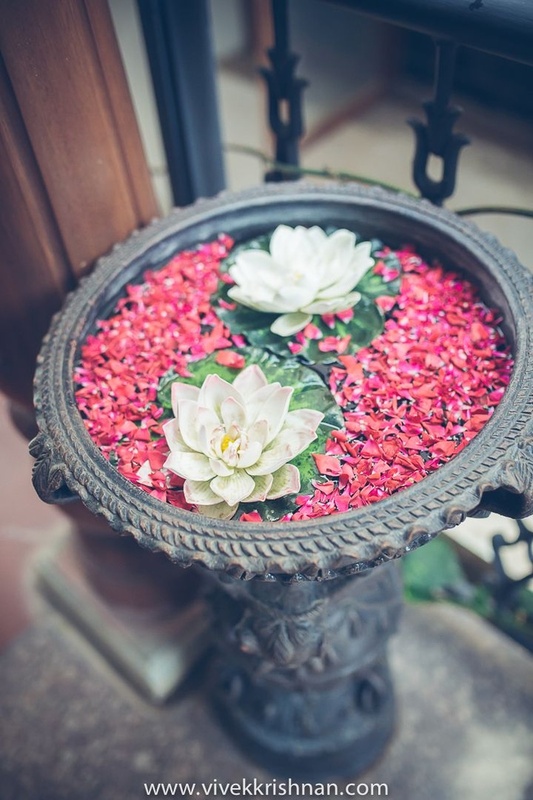 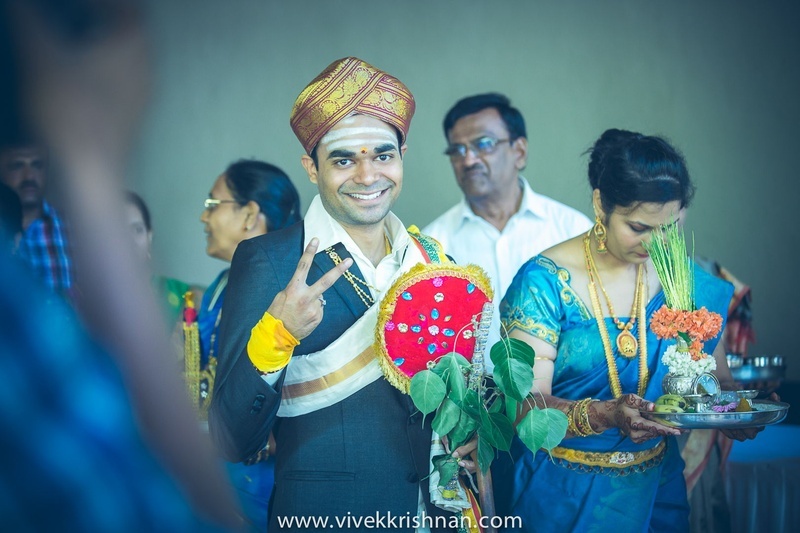 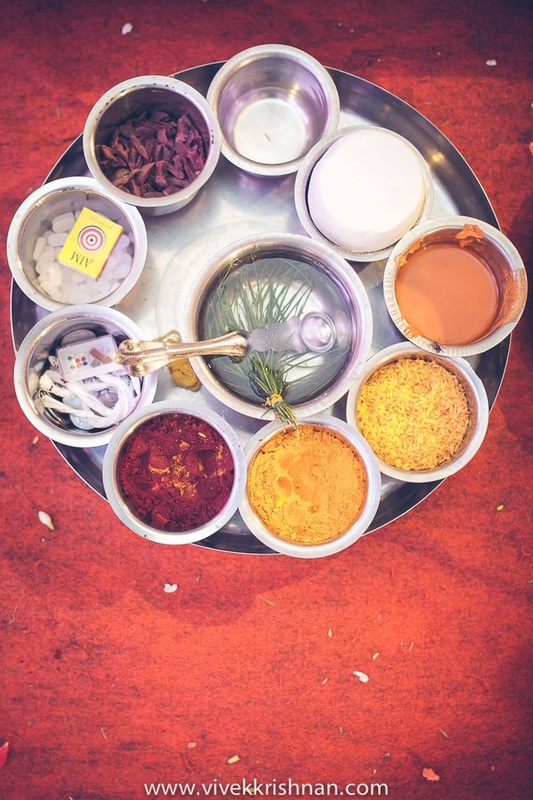 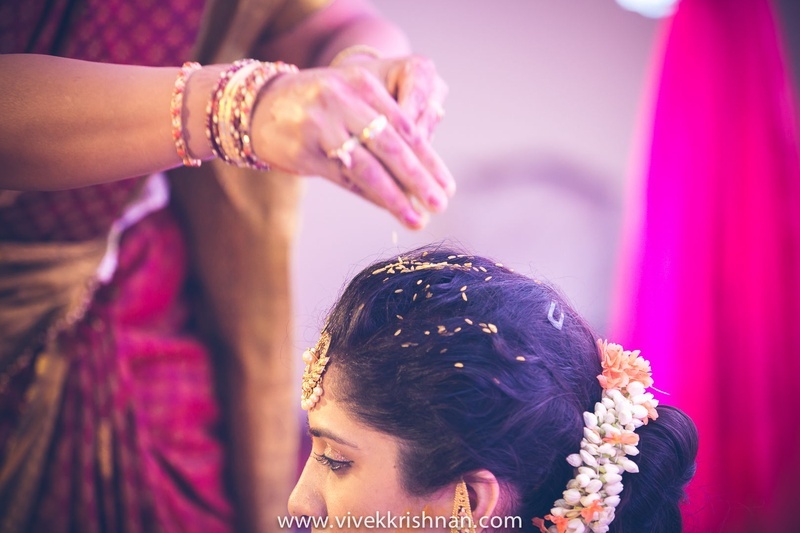 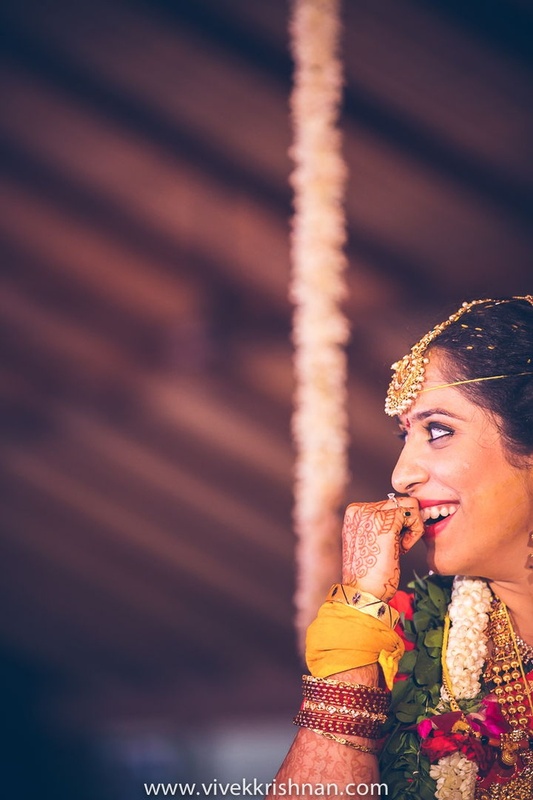 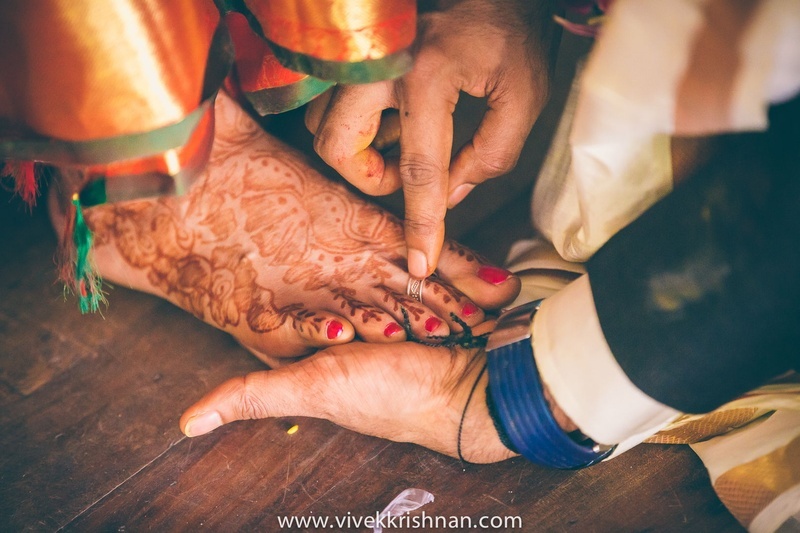 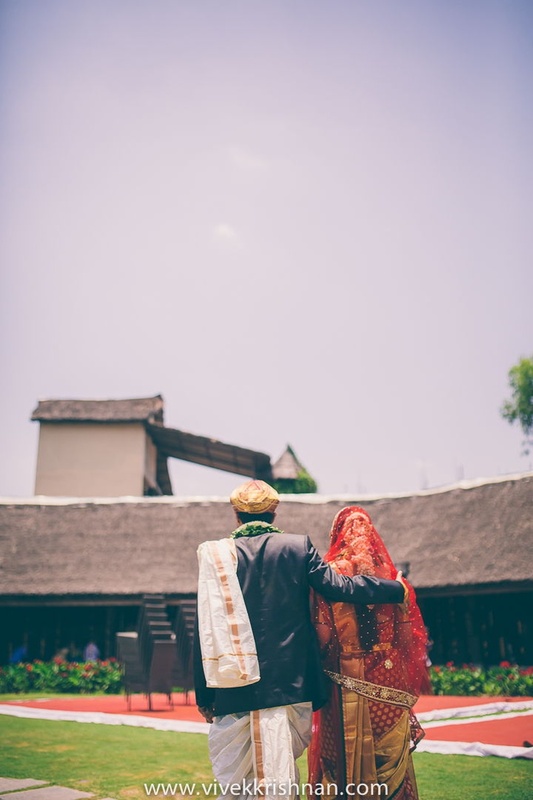 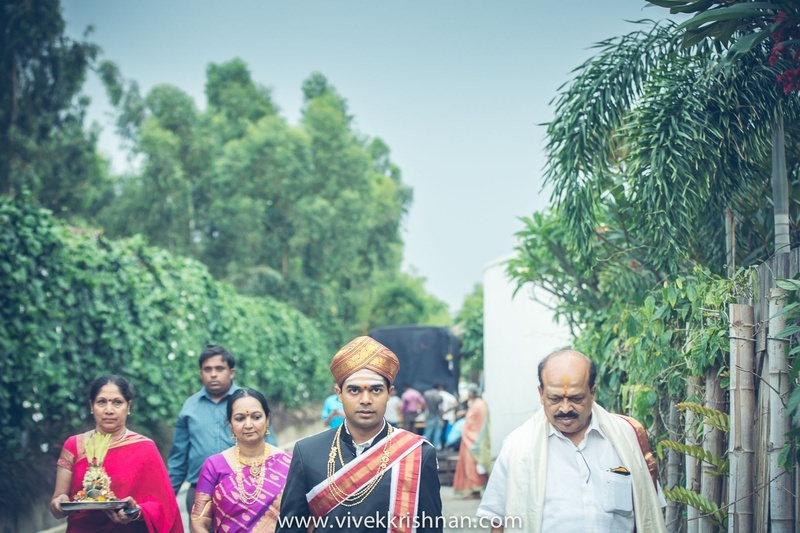 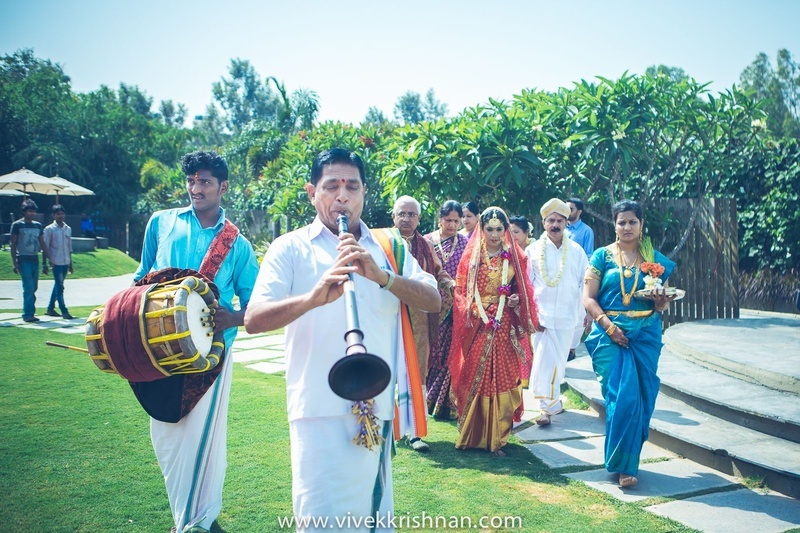 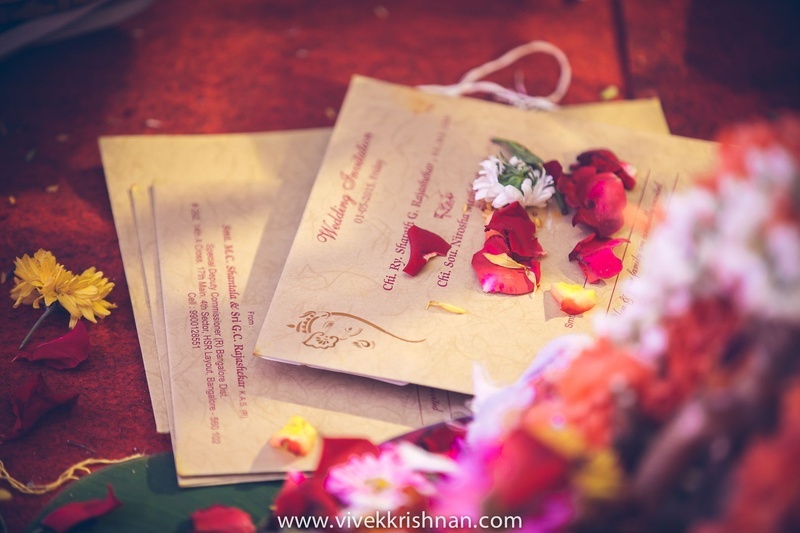 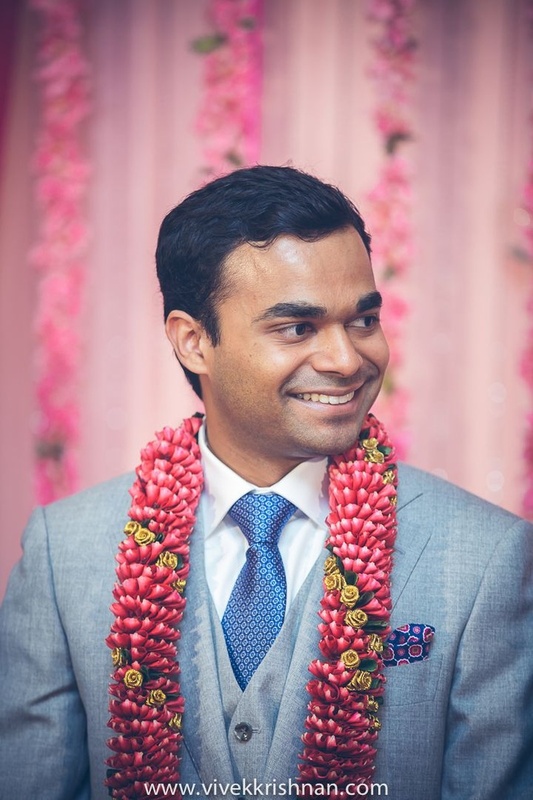 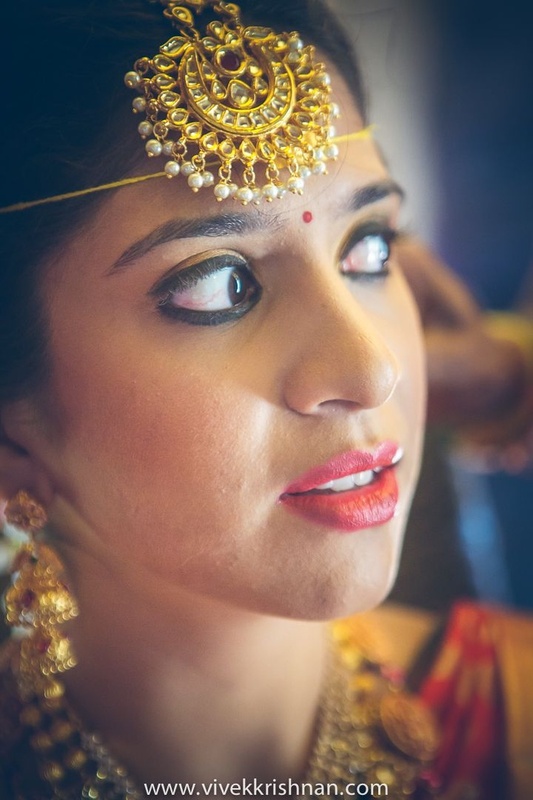 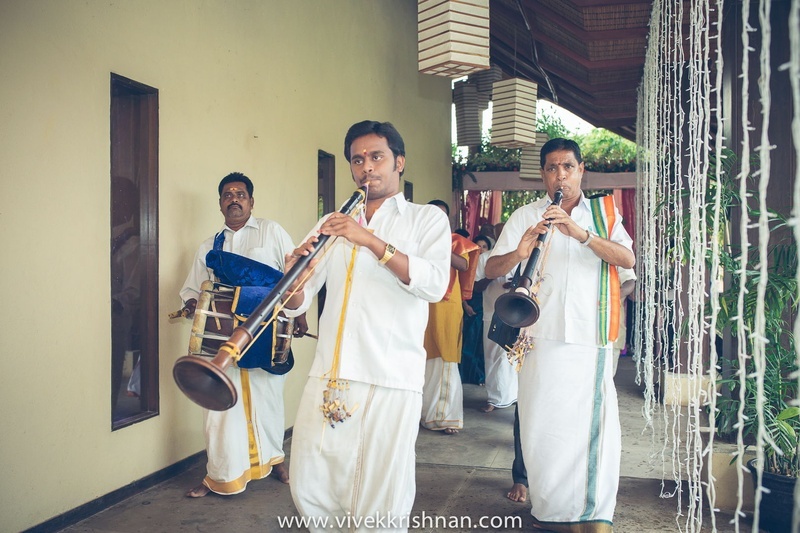 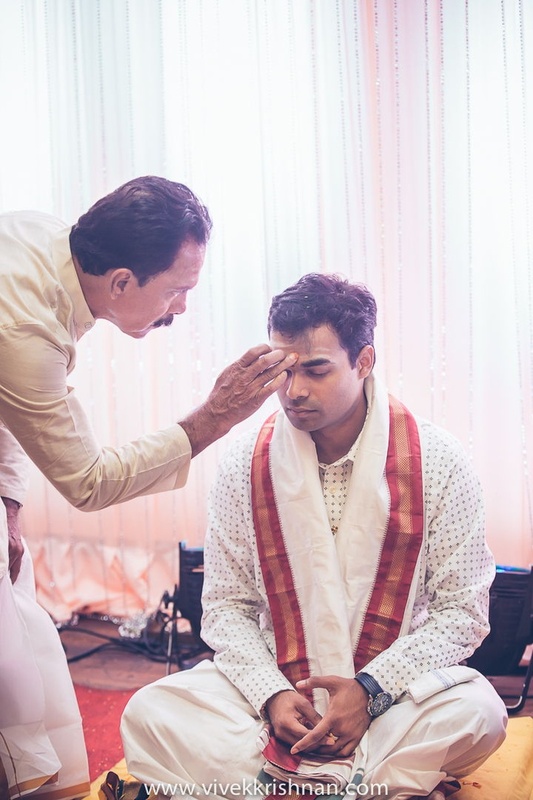 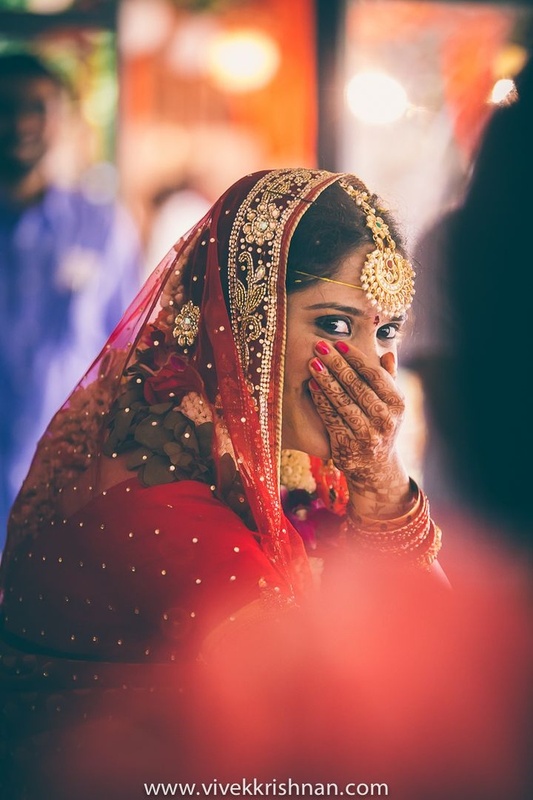 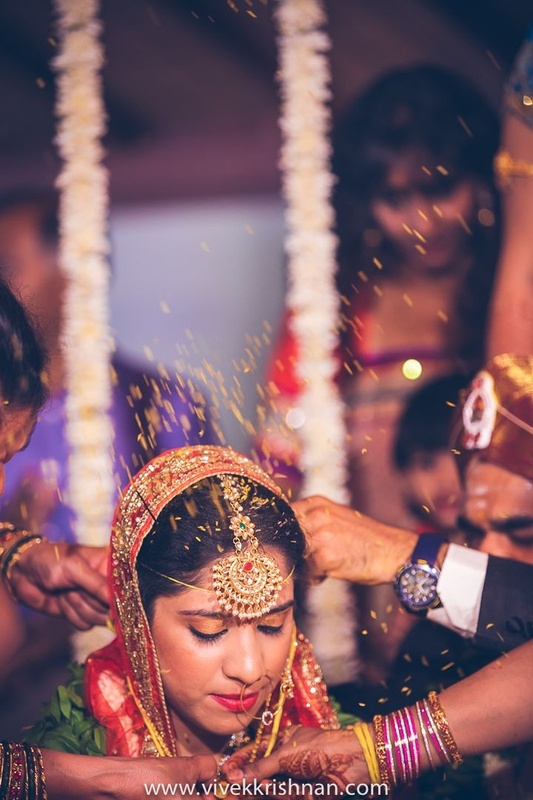 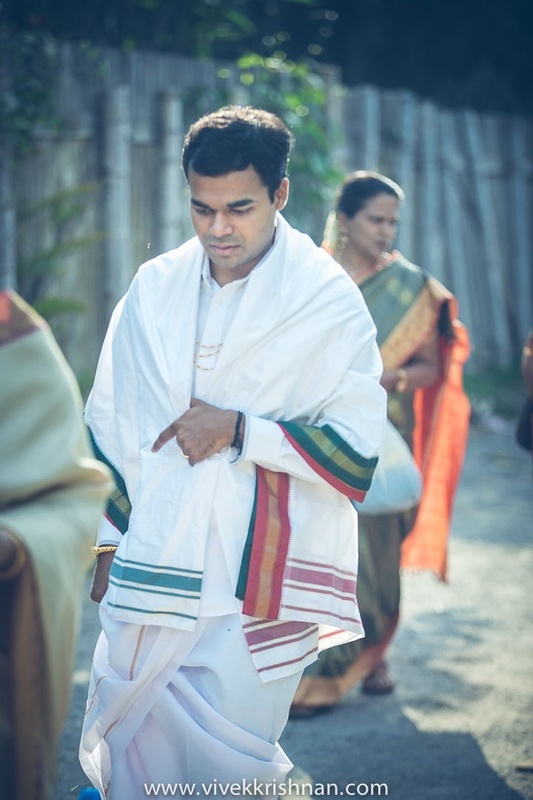 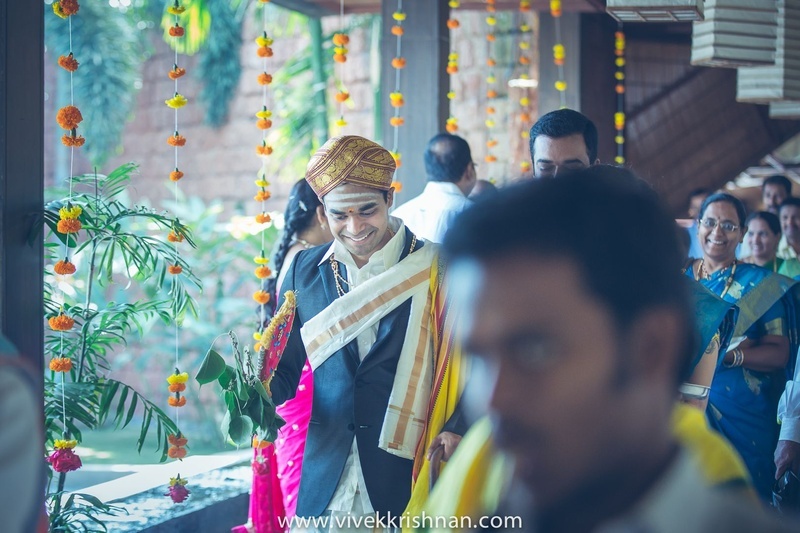 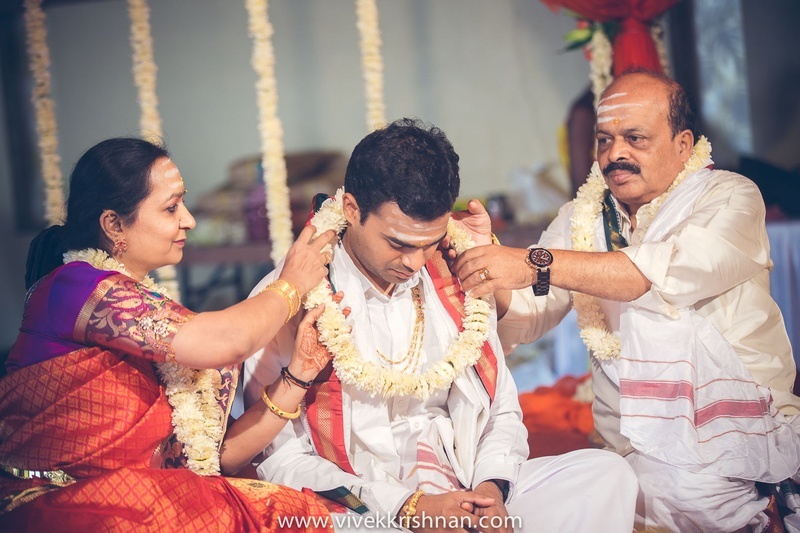 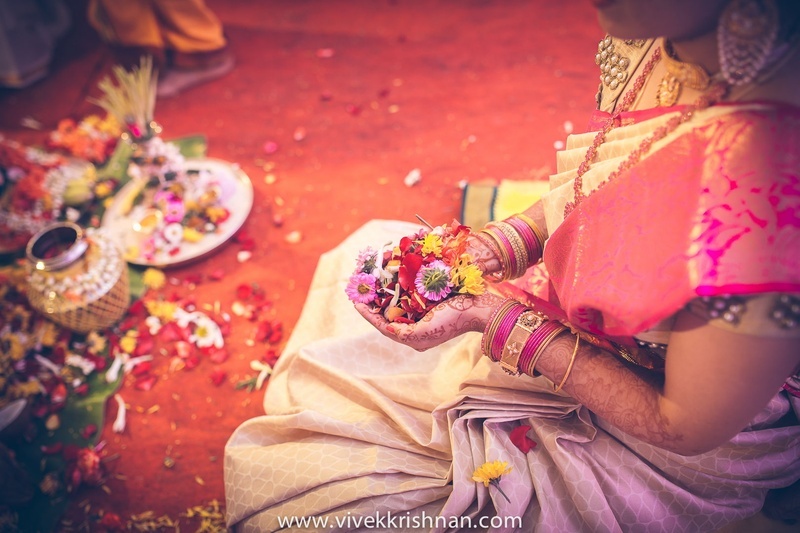 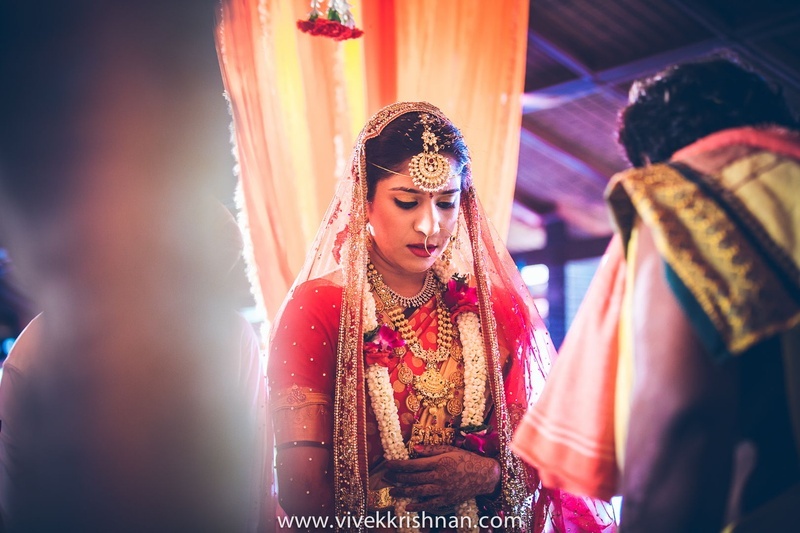 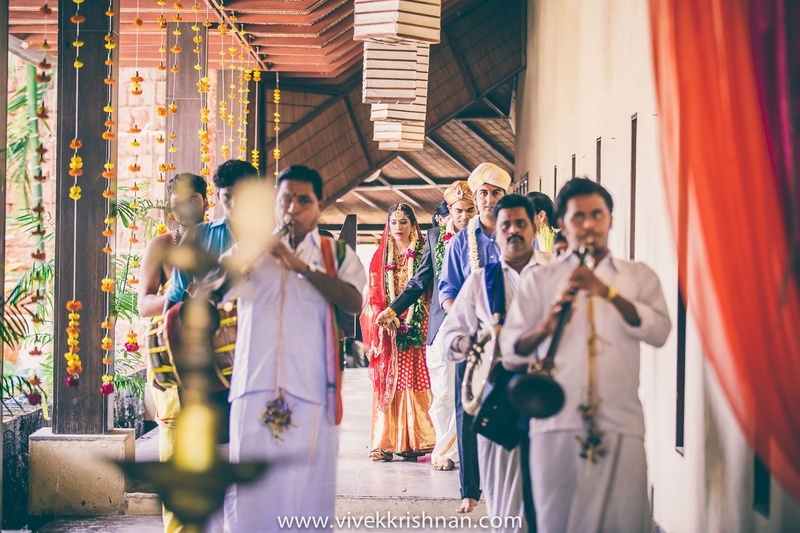 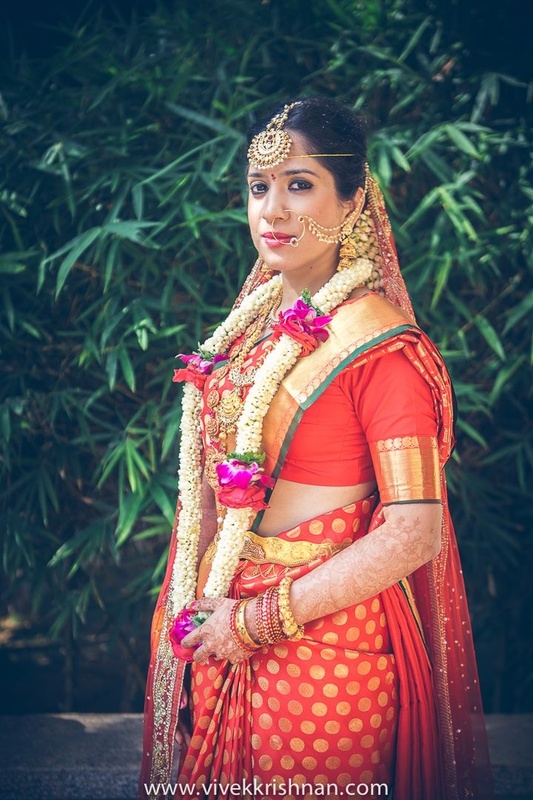 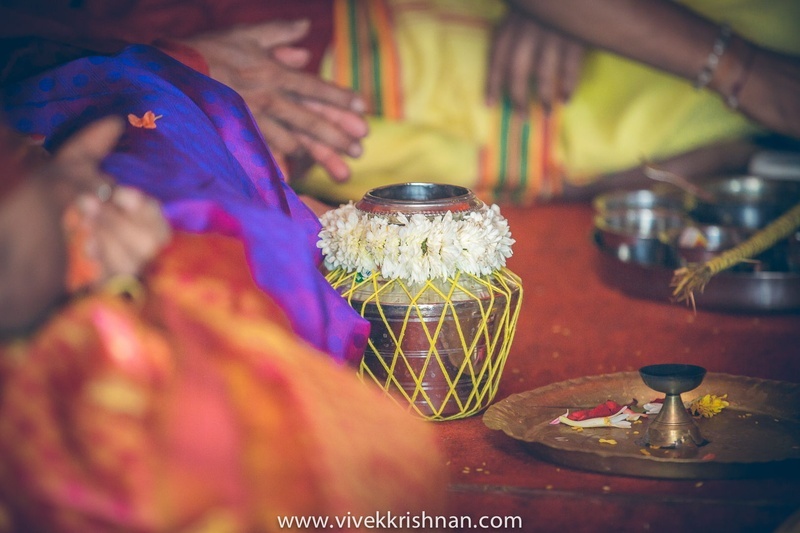 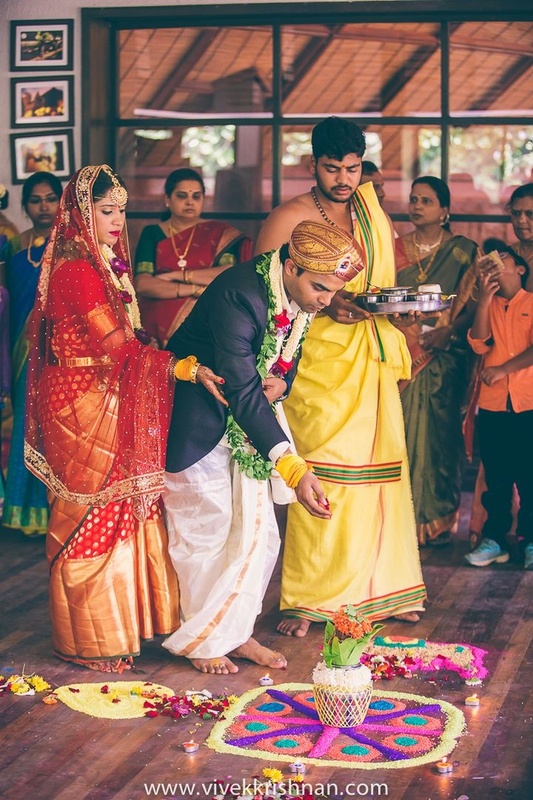 South-Indian weddings are all about family, joy and unity – and this traditional union was all this and more! 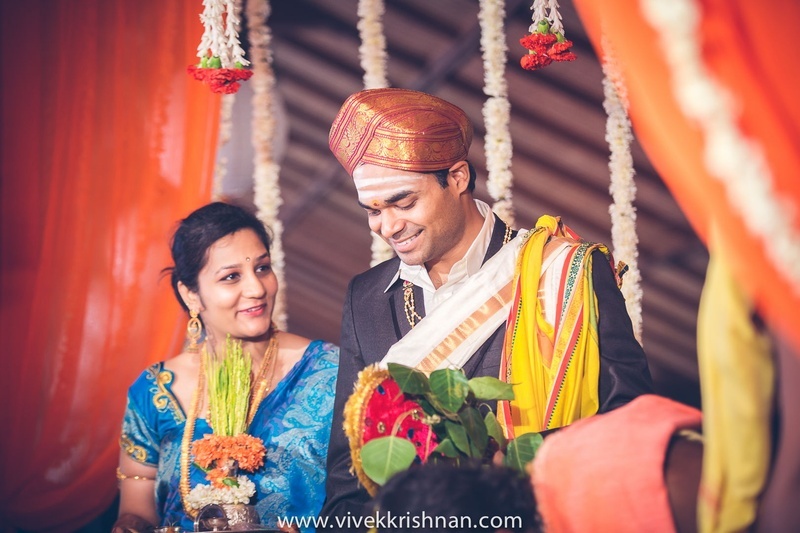 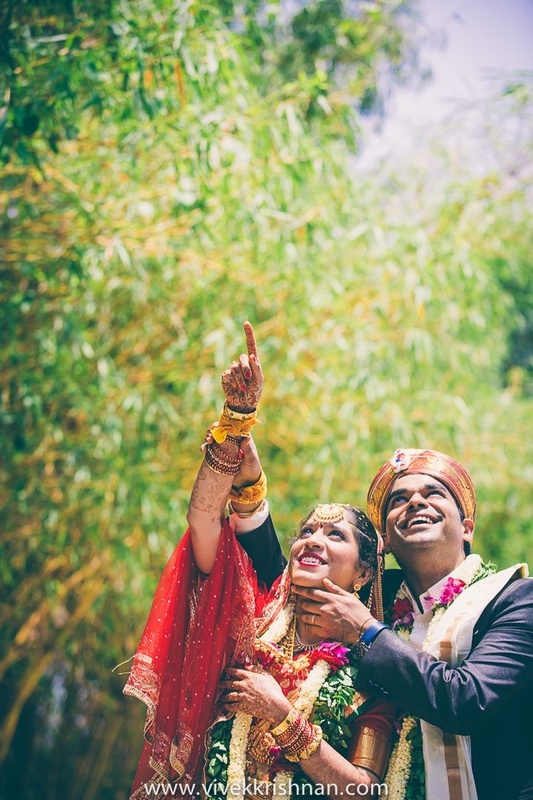 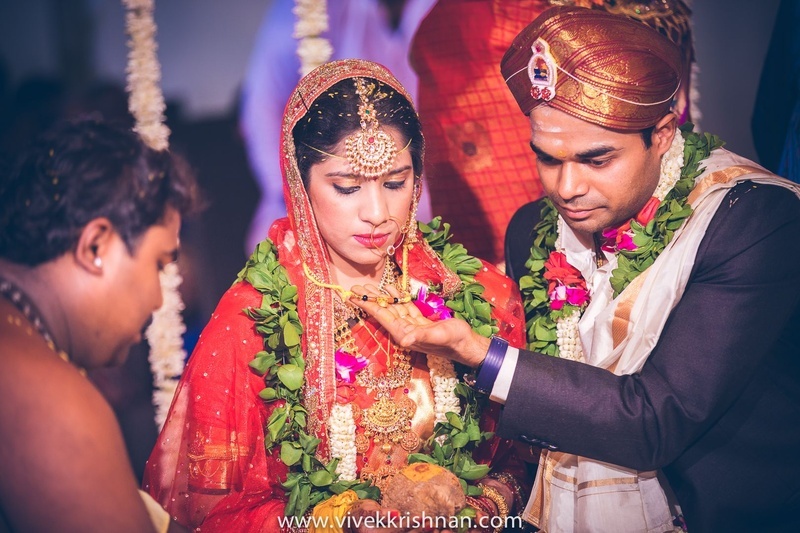 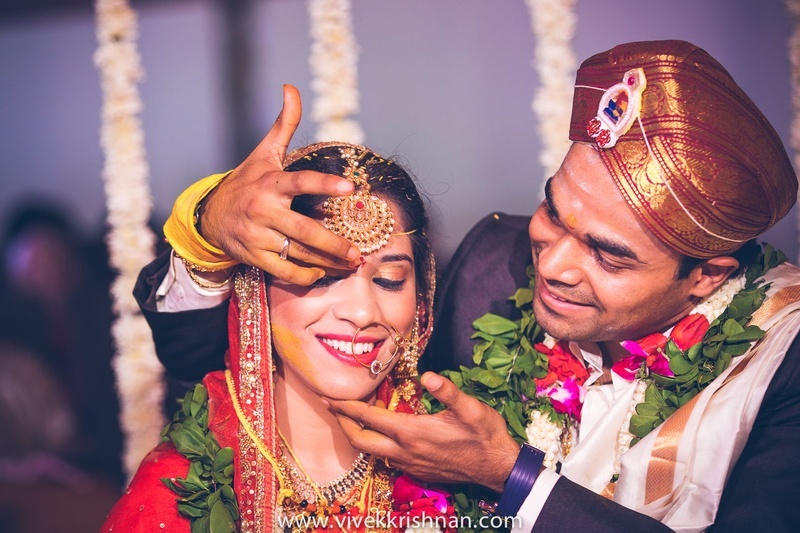 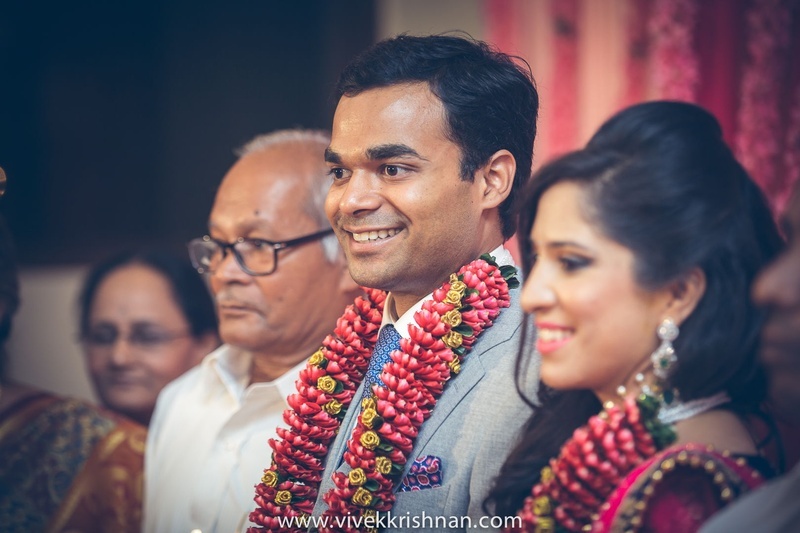 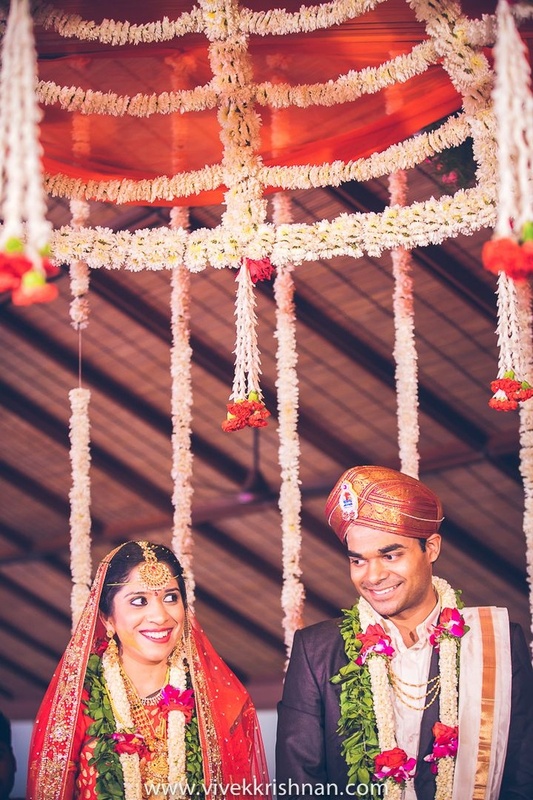 Nirosha and Sharat wanted a wedding that was simple yet special and they got exactly what they wanted. 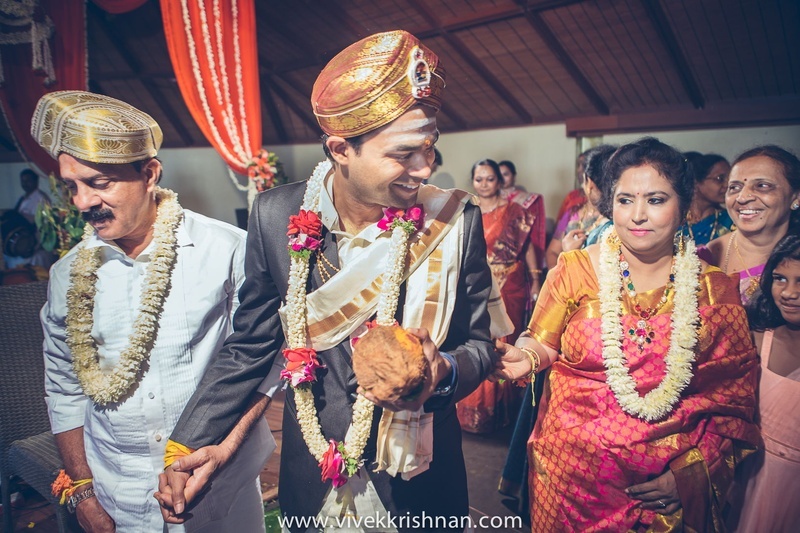 A simple marriage ceremony held in the presence of family, friends and loved ones. 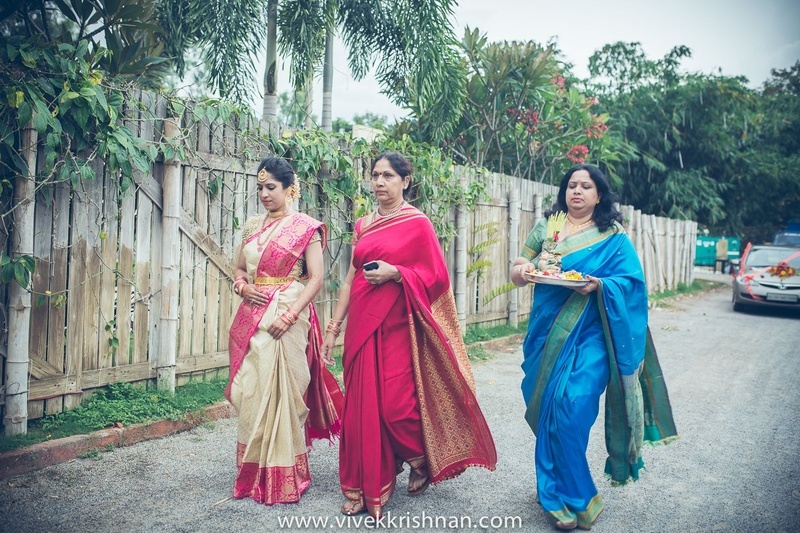 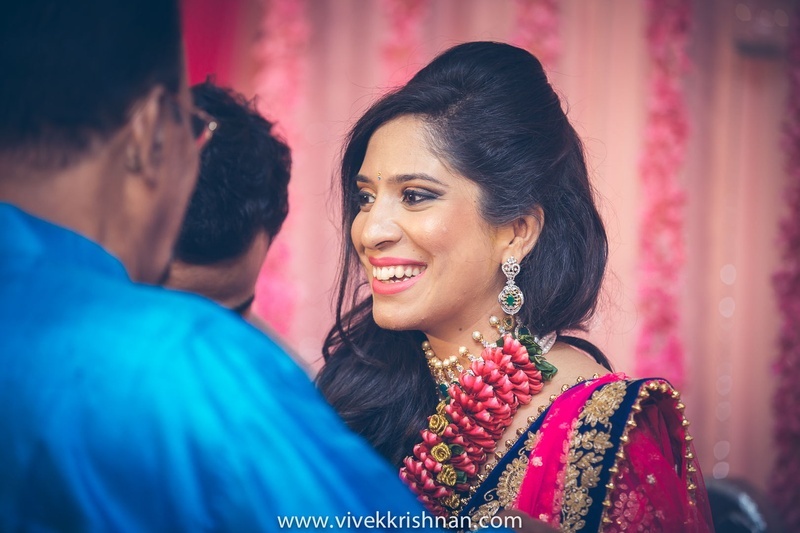 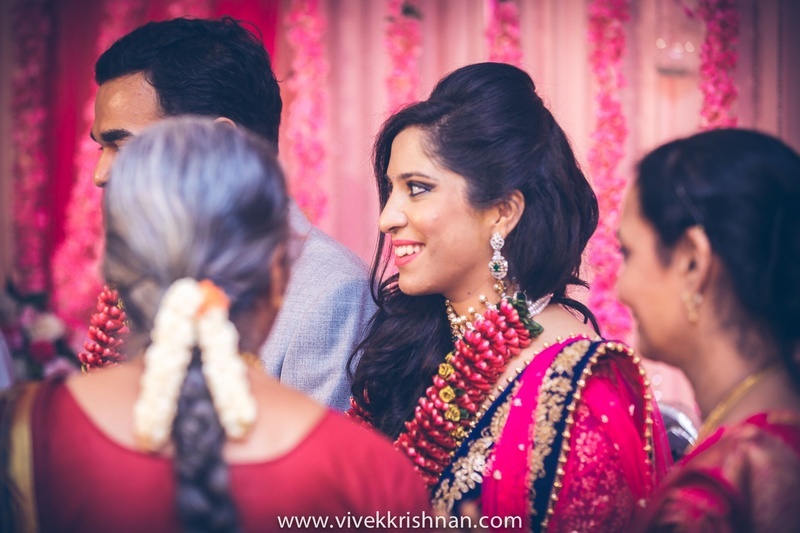 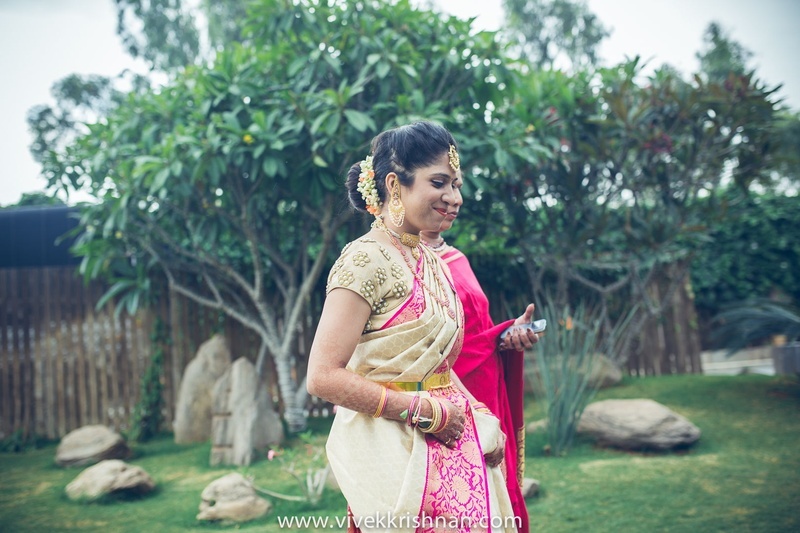 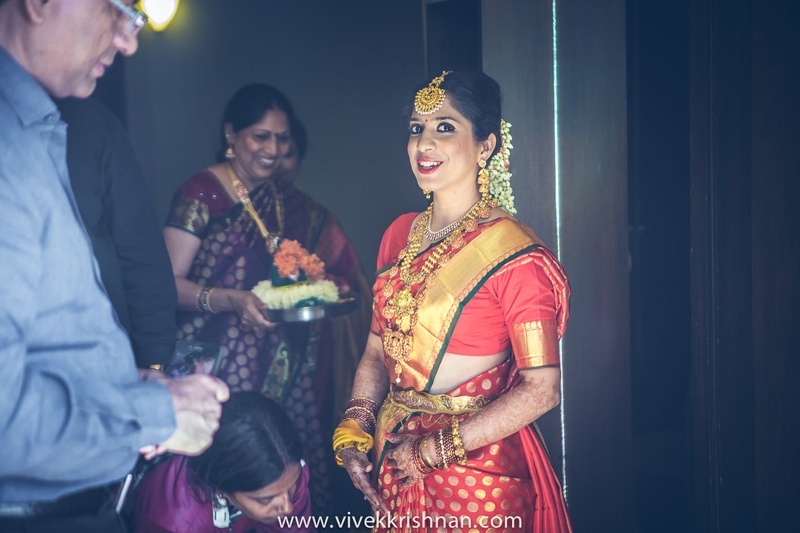 Nirosha donned a gorgeous red and gold pure silk kanjivaram saree. 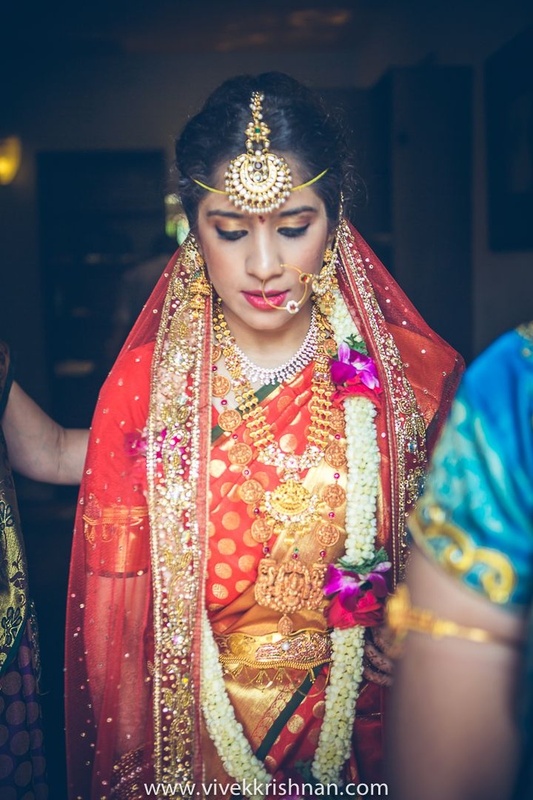 Her bridal adornments were absolutely mesmerizing! 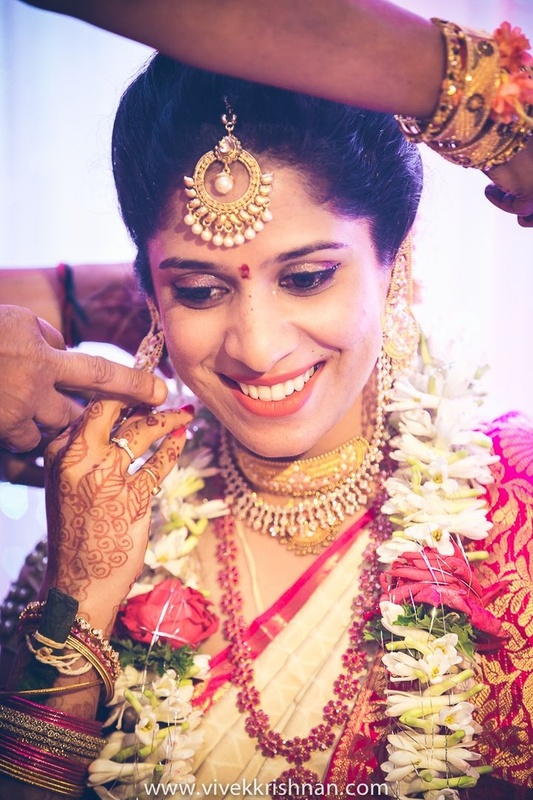 What a perfectly picked set of jewellery she wore. 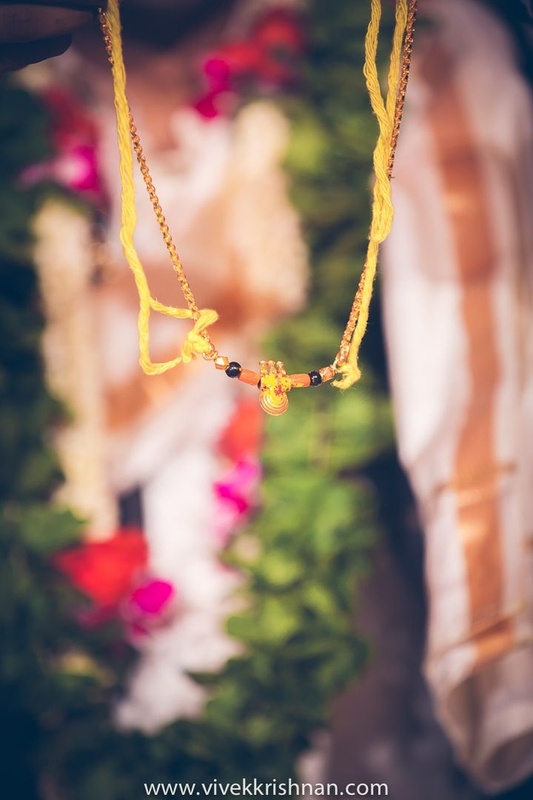 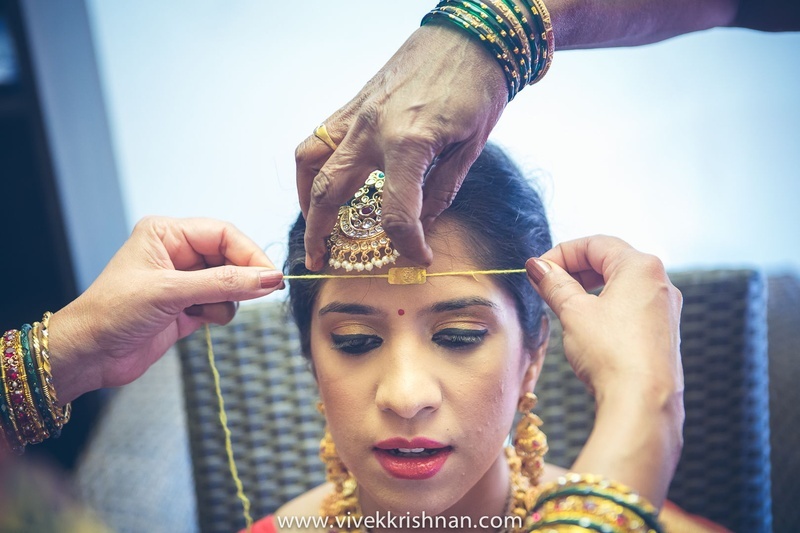 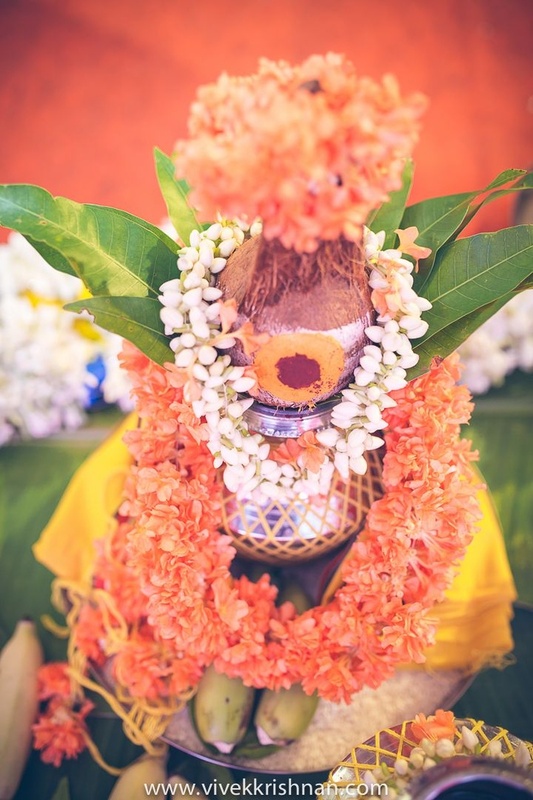 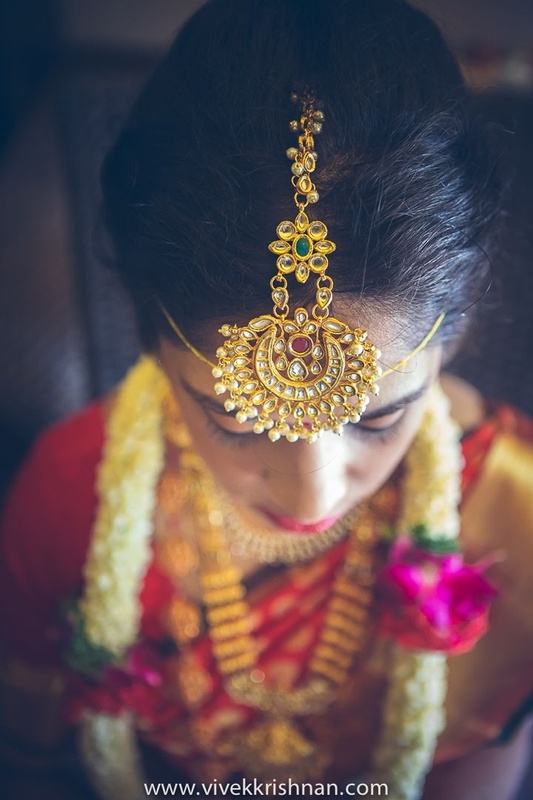 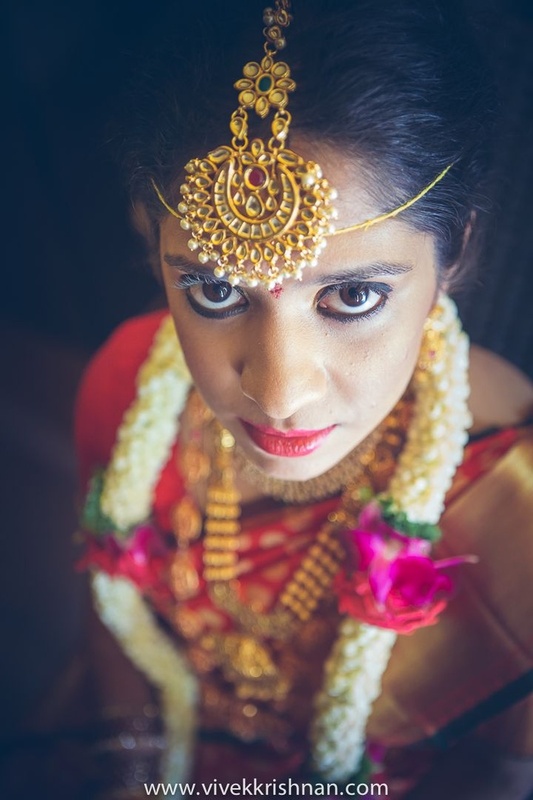 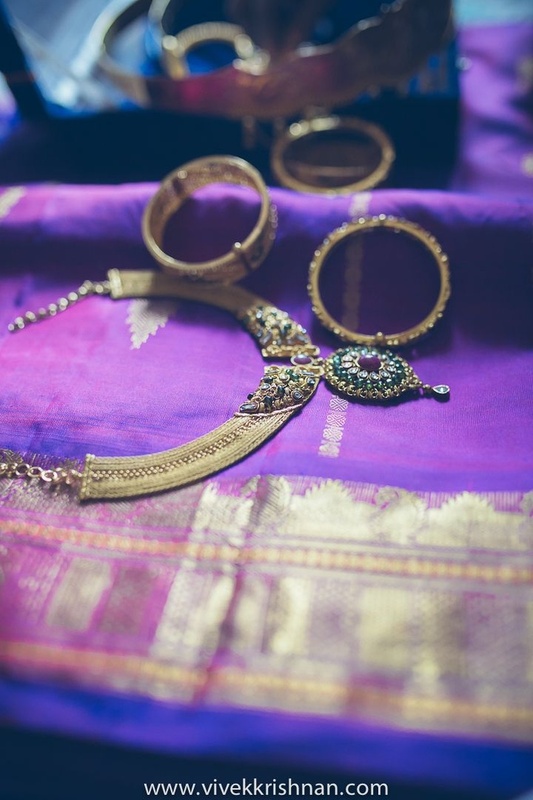 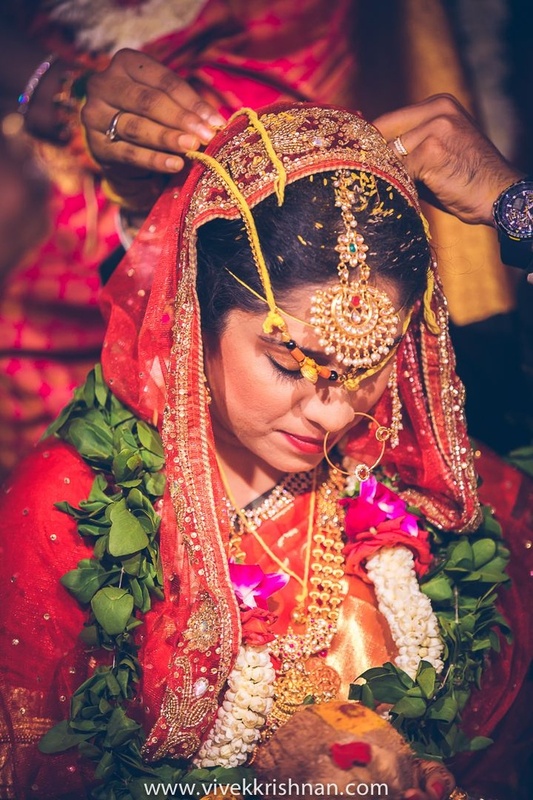 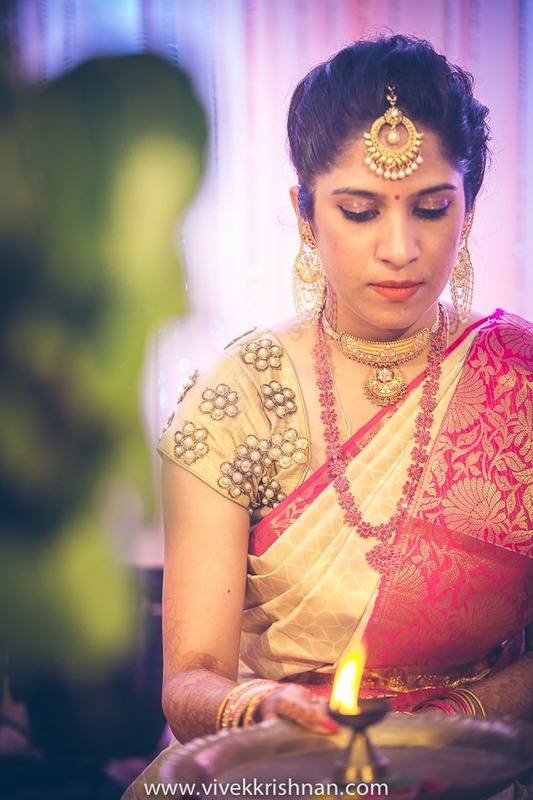 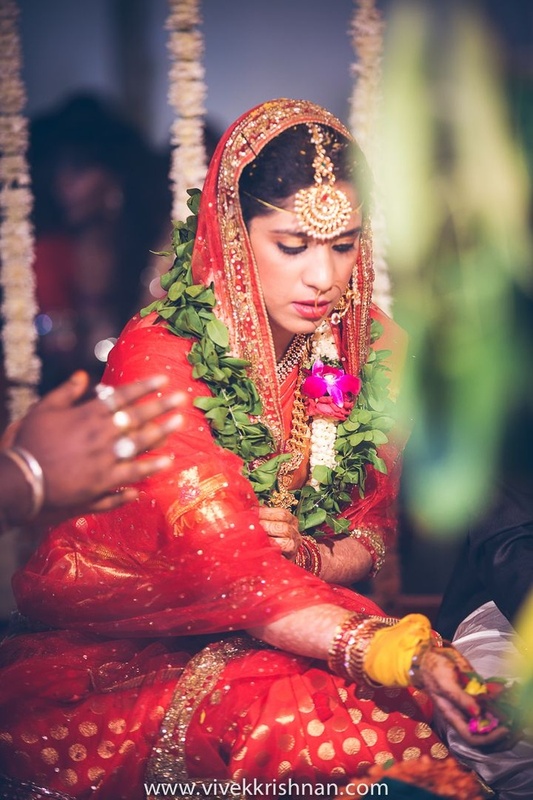 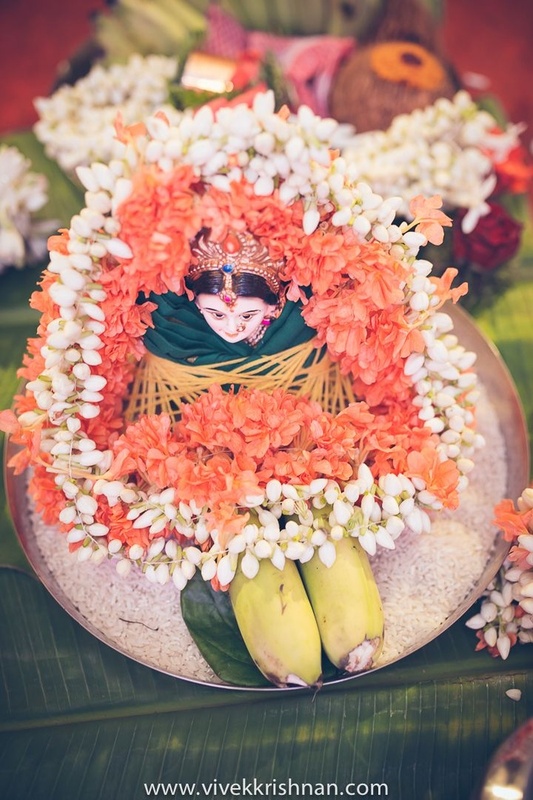 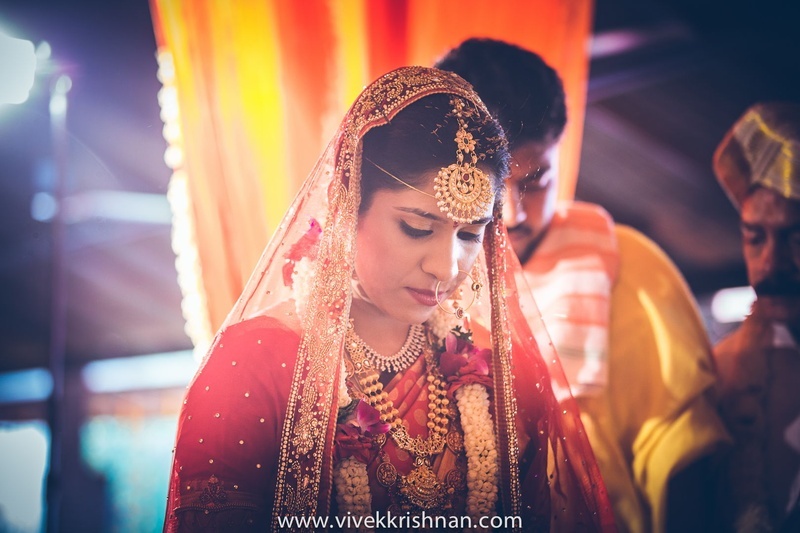 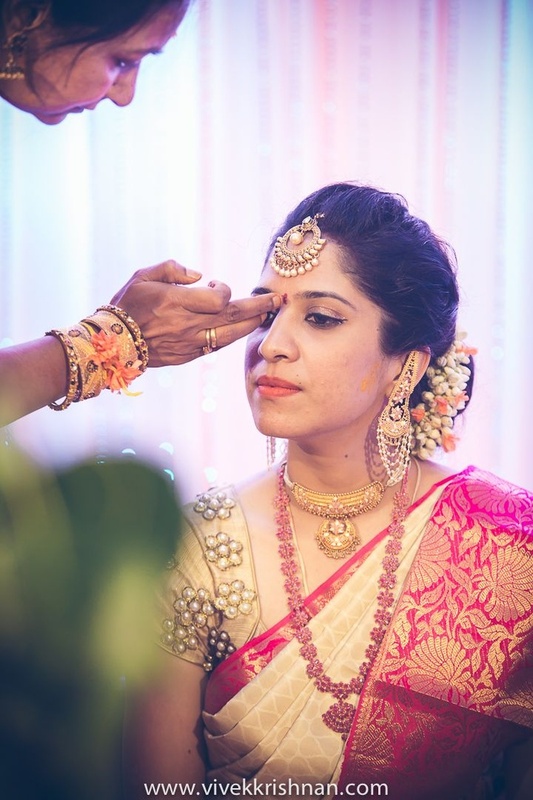 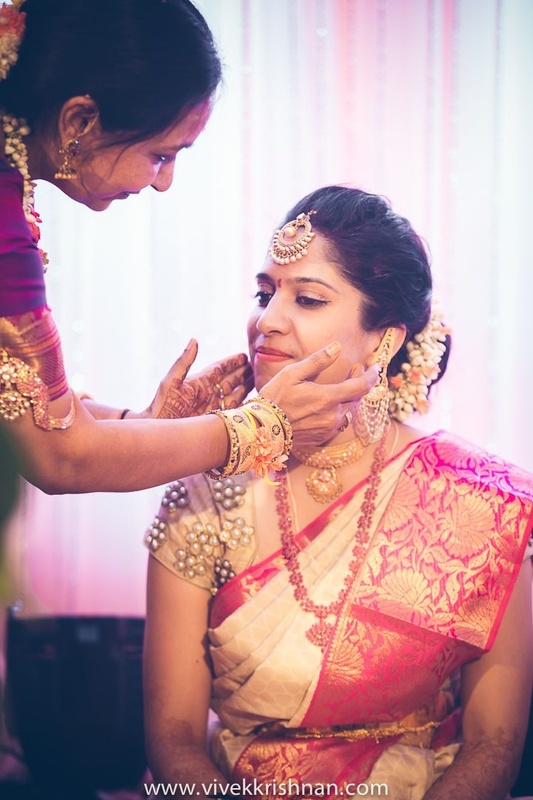 A gold kamarbandh, a grand oversized chandballi styled maangtikka and paired it with layered necklaces that included temple and kempu jewellery – ethnic adornments passed down from older generations. 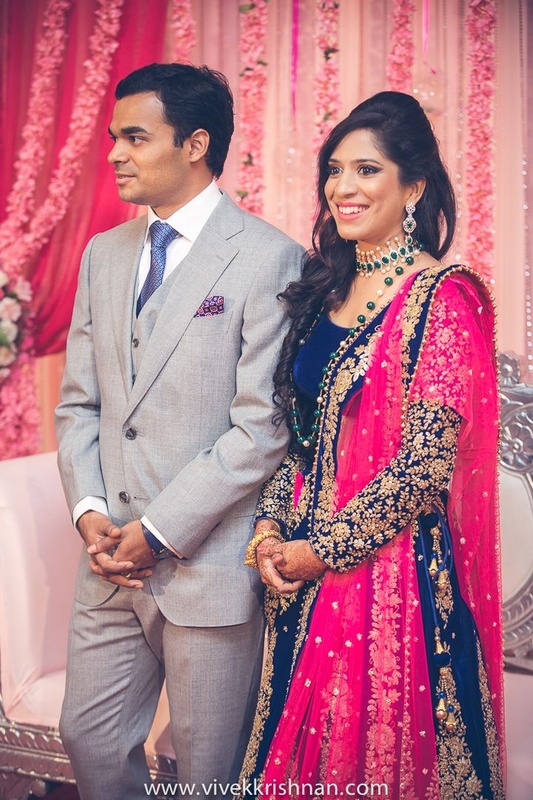 Sharat looked like a quintessential groom in his navy blue blazer, mund and his red brocade pagdi. 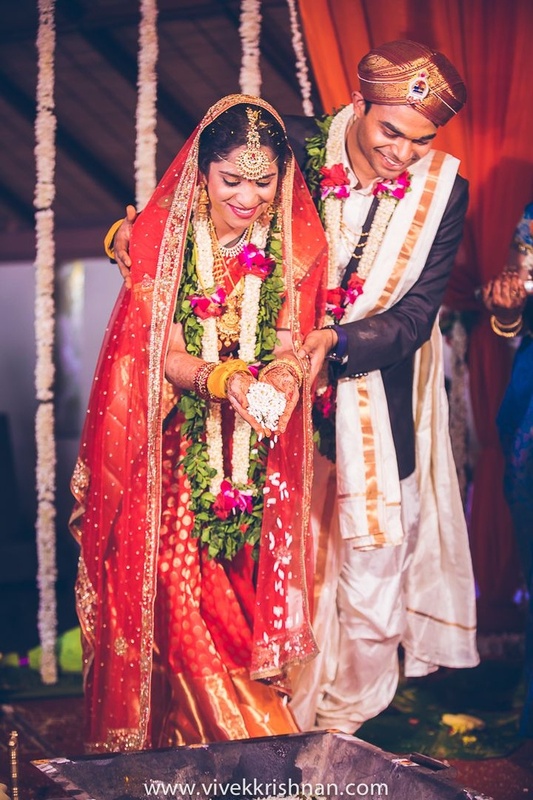 Together these two completed every traditional wedding ritual and sealed the deal with the blessing of God and their elders. 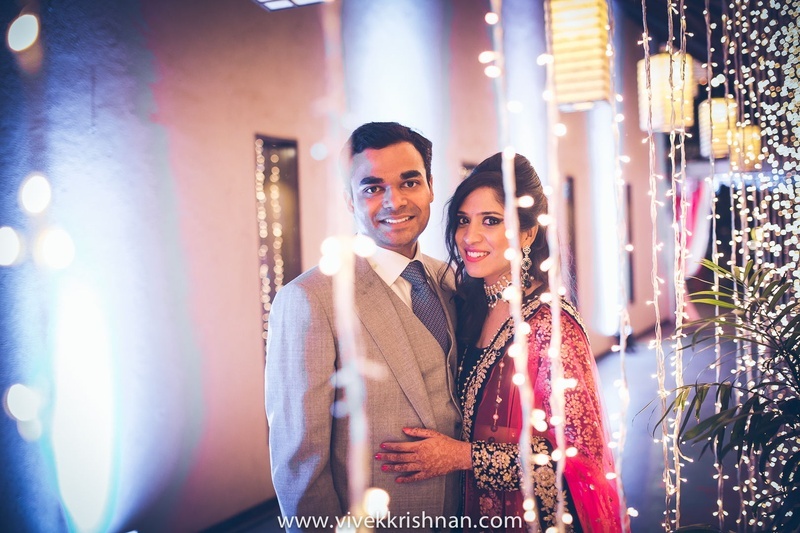 Celebrations continued at the reception ceremony where this beautiful couple showed us their classy sides. 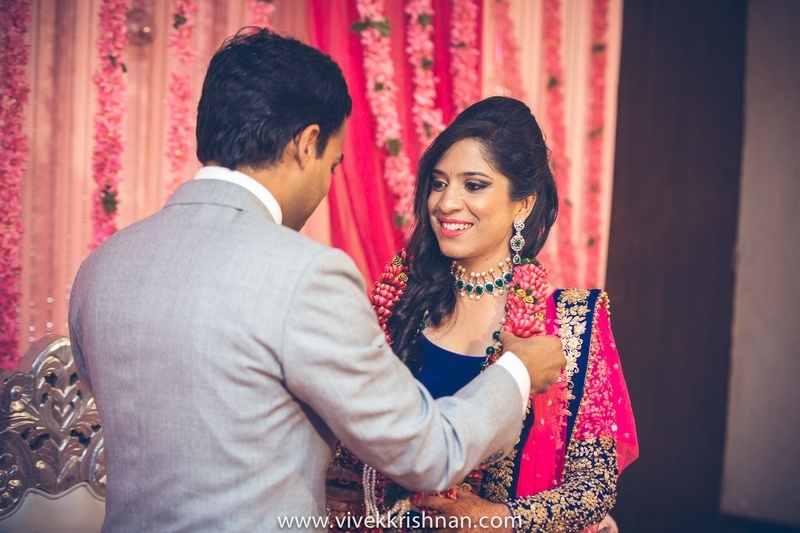 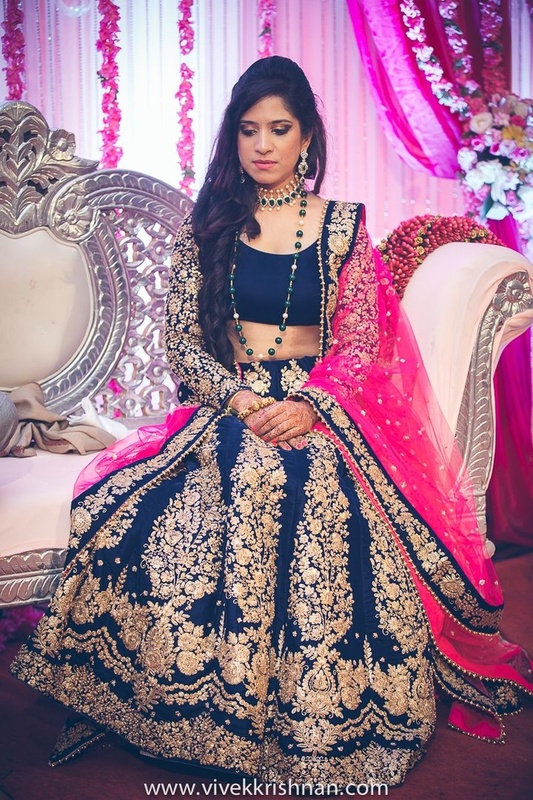 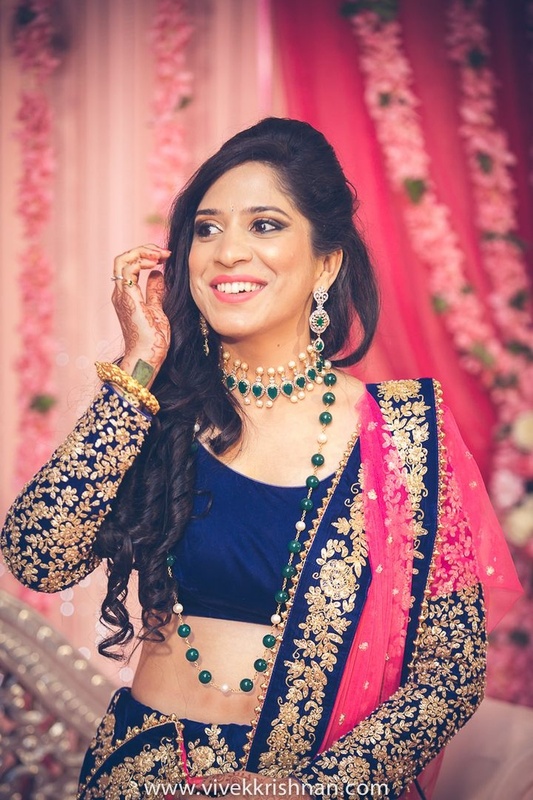 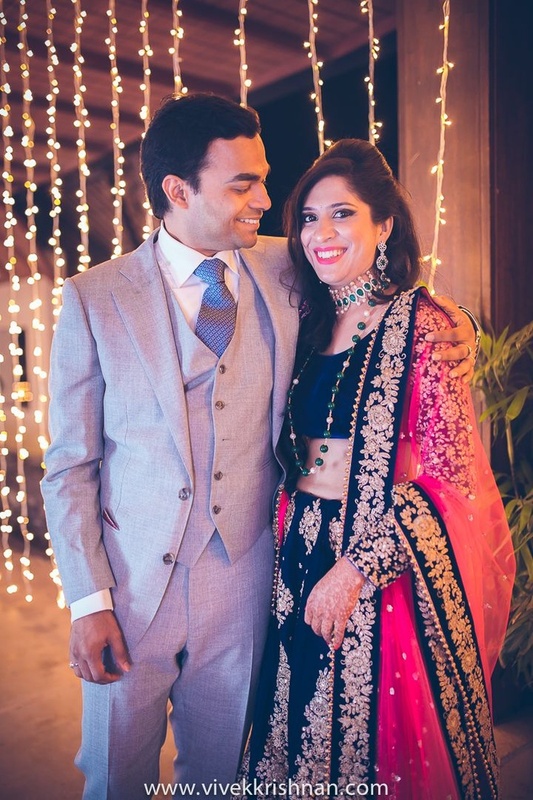 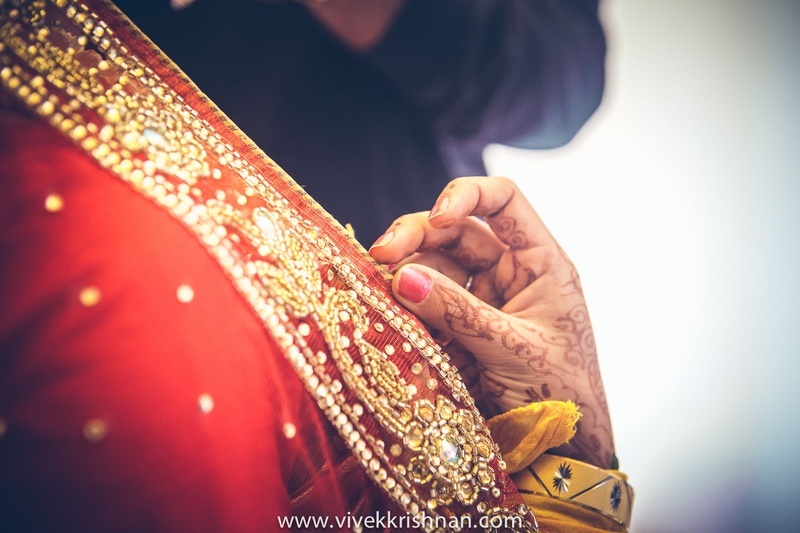 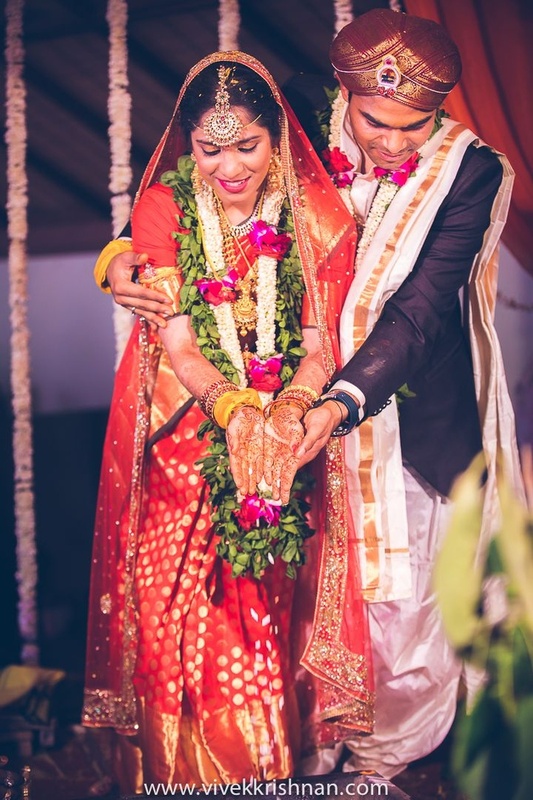 The handsome groom went with a crisp grey blazer and blue tie, while Nirosha opted to go ethnic in her navy blue kalidar lehenga with stunning gold embroidered motifs, she completed her look with a gold choker studded with green gemstones and gold beads – together these two looked absolutely stunning!